The Banbury 5-Spray Handshower from MOEN offers five unique settings to customize your shower experience every time. The water flow options include a relaxing massage, an energizing massage, a wide spray and two combinations, made to suit the personal preferences of everyone in your home. A durable and brilliant chrome finish resists corrosion, while the self-cleaning nozzles ensure long-lasting, hassle-free use in this built-to-last design. 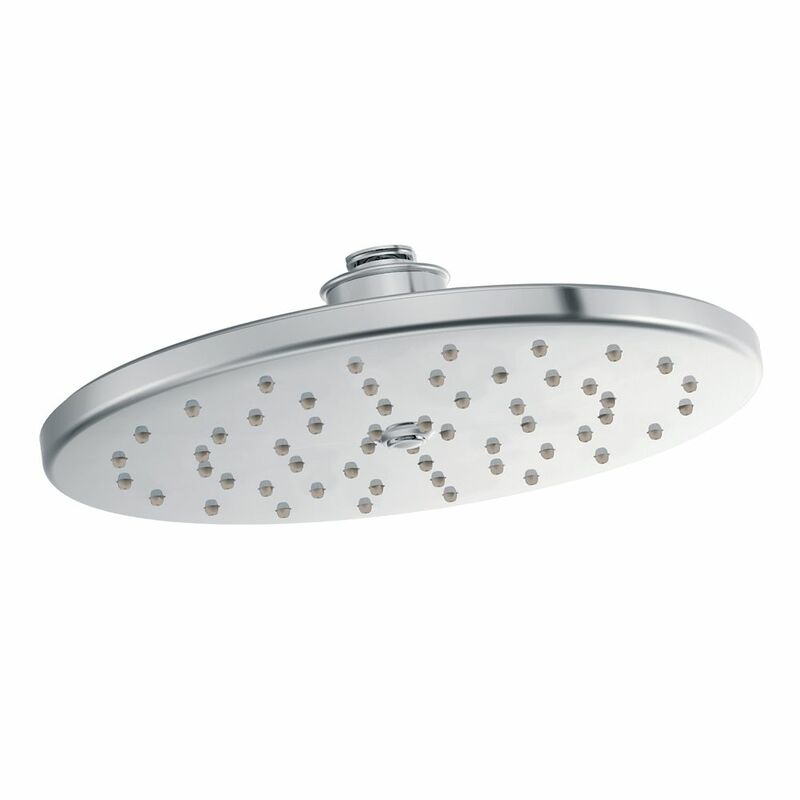 This MOEN Fina 7-Inch Raincan Showerhead in Chrome will bring modern European styling to your home. The contemporary-shaped showerhead features MOEN's advanced, self-pressurizing immersion rainshower technology to channel water through the showerhead to deliver a powerful massaging spray. The chrome finish creates a bright, highly-reflective, cool gray metallic look. Waterhill Chrome One-Function 10-inch Diameter Spray Head Rainshower Vintage and full of character, Waterhill bath faucets and accessories bring provincial elegance to today's more tradtional homes. Period-era details like a gooseneck spout and top finial give each faucet an authentic feel. Waterhill Chrome One-Function 10-inch Diameter Spray Head Rainshower is rated 5.0 out of 5 by 1. Rated 5 out of 5 by albanyny29 from Great Product Awesome addition for the shower and was easy to install at a fair price. Item was not in store and had to be ordered online which was not very convenient Having to pay for shipping was the only negative thing I can think of.